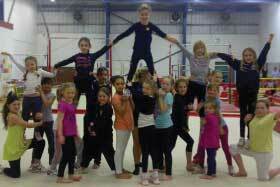 At Shanghai Gymnastics, we offer fun and safe sport activities for boys and girls of all ages and levels. We teach boys and girls of all ages fundamental skills through a progression system focused on technique and motor ability. Our gymnastics, tumbling, cheerleading and parkour programs for all ages (3-18+) and levels are designed to nurture each athlete, leading to satisfaction and personal rewards that come from accomplishment and being fit. Keep your child active, safe and learning under the supervision of our trained coaches. Boys and girls can channel their extra energy into acquiring fundamental motor abilities and gymnastics skills. We offer classes for all ages (3 – 18+) and all levels. Kids love gymnastics and will cartwheel their way to confidence! Have you ever wanted to learn how to flip and tumble? Our tumbling class offers a friendly environment for boys and girls of all ages to learn how to tumble through safe and efficient progressions. No prior gymnastics experience needed! Join our Youth Cheerleading team to learn tumbling, stunts, dance and teamwork. You will not only have fun, you will learn to work hard to reach personal and team goals, meet lifelong friends, build self-confidence and accomplish things you never dreamed of. All kids love to run, jump and climb! This class incorporates conditioning into games and creative physical activities, and teaches the fundamentals of parkour moves and techniques, including jumping and landing, rolling, vaulting, climbing, and falling safely. The program is structured around the Australia Gymnastics Competitive Routines, with a strong emphasis on building the strength and flexibility required for advanced gymnastics. Competitions are hosted by SG or held at gymnastics clubs across China or in other regional countries. If our class schedule doesn’t fit your personal schedule, you can also request to start your own class. Minimum of 4 students required. 2017 Autumn Cup: SAVE THE DATE! Jinqiao Gym is Moving in September! Shanghai Gymnastics is a full-service youth gymnastics sports club established since 2013 in Shanghai, China. 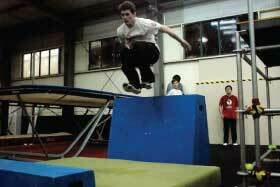 Now with three locations around Shanghai, it continues to provide fun & safe gymnastics, cheerleading and parkour classes to kids of all ages and levels. Founder Ted Wang is an American gymnast and certified coach with more than 20 years of gymnastics experience, including competing as a University of Michigan NCAA athlete and training with the Shanghai Provincial Team. Join the growing Shanghai Gymnastics family today! Call Ted at +86 186-2178-1281.